The 900yds stretch of the River Tame offers wild brown trout. 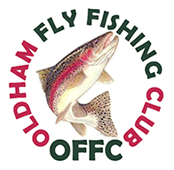 Fly Fishing only – no Lures. Barbless or de-barbed hooks only and no hook bigger than Size 12 gape. Catch and Release only. No fish to be taken. 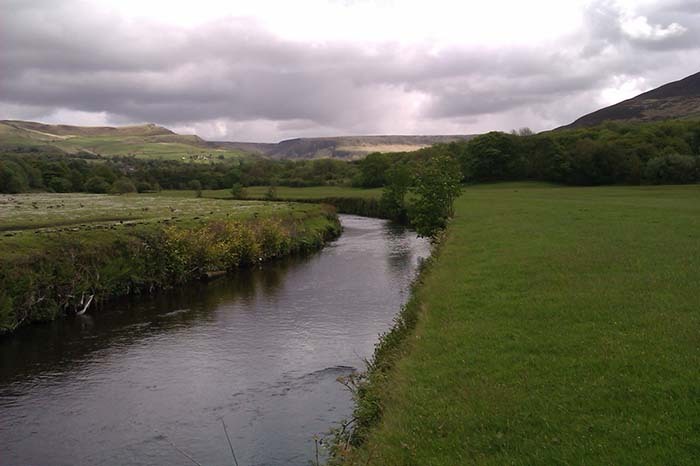 The fishing rights for the River Tame on the South (i.e. Farm) side run from the fence above the weir downstream to the road (a single field about 600 yards in all), then under the bridge and downstream to the first footbridge a further 300 yards. On the North (canal) side the stretch runs from the weir downstream to the road bridge. The top and bottom of each length is marked by an OFFC sign. Entry points are limited and wading will be necessary to fish most of the water. Though the water is mostly 12-24 inches deep there are some deep pools and the river bed can change quickly so we suggest you always use a wading staff. Parking is in the designated area only with the OFFC sign. Turn into farm drive and then left through first gate on left. Permit Disc or Club Handbook must be clearly visible on car dashboard and members must be visibly displaying current OFFC Badge on clothes. The Caravan Site Manager, lives in the caravan which overlooks the parked cars. 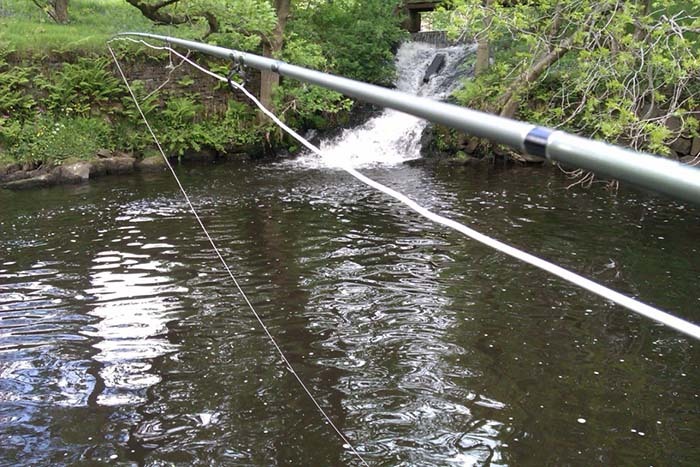 Following the sale of Well-i-Hole farm, arrangements for fishing the River Tame in the 2017 season have now been agreed. After approx 6.25 miles turn left at Royal George Hotel onto Well-i-Hole Road. Site is on left after 150 yards (before the bridge).